If you’re a vegetarian or vegan — or have any other dietary restrictions — you might be wondering if it’s possible to navigate Italy’s restaurants, cafes, and grocery stores. While still enjoying the food. True, excluding meat or dairy as a lifestyle choice is, literally, foreign to Italians. And that means not just that you might get a funny look if you try to explain you’re a vegetarian — but that they won’t quite understand, and you’ll wind up with, say, guanciale in your pasta anyway. Meanwhile, although Italians are familiar with the idea of being lactose-intolerant, celiac, or anything else — and while they’ll probably understand it better than choosing to eat that way — it can be tough to find restaurants that will cater to you. Here, our top tips for eating in Italy… while on a restricted diet. In restaurants in other countries, it’s common to see dishes drenched in butter or cream sauces — not ideal if you’re vegan or lactose-intolerant. But in Italy, the base for pretty much everything is olive oil. Many Italians don’t even own butter. And heavy cream sauces, of the kind you have to be careful of in, say, France, are very rare. (Even carbonara, usually made with cream outside of Italy, doesn’t have cream when it’s made by Italians). 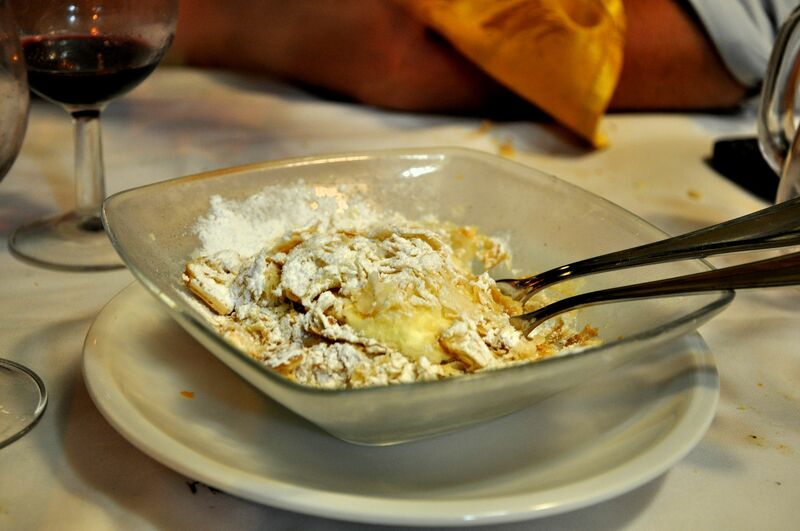 Of course, you do have to look out for cream in Italy’s most famous desserts, including tiramisu and this millefoglie! Meanwhile, other traditions that crop up in Italian-American restaurants, like shaking grated cheese over pasta, you just don’t see at restaurants in Italy. (Very occasionally, you’ll be offered cheese to add to your pasta, but that’s it). On the other hand, guanciale (pork jowl) is often used in tomato sauces for various pastas (although, if the menu describes each kind of pasta, guanciale should be listed), and pancetta often winds up in soups. Fritti also tend to have meat or fish inside, including even fiori di zucca and suppli. Cream is also a popular base for desserts, like tiramisu or millefoglie. So always ask to be sure. If you consider yourself lactose-intolerant, you might find that you can eat dairy items in Italy that you can’t back home. For one, some people find that it turns out that they’re not intolerant of lactose — they just can’t handle the preservatives and additives that tend to be added to dairy in the States, but aren’t as much in Italy. For another, when cheeses are aged, the bacteria actually consumes lactose. Most lactose, in fact, is gone after just three months of aging. On top of that, processed cheeses have more lactose than other cheeses. (Velveeta, for example, has 9.3 percent lactose). So you might find you’re just fine when you eat Italy’s harder, aged cheeses, like Parmigiano-Reggiano (“parmesan”) or pecorino. (Even if you can’t eat “parmesan cheese” in the States, of course, you might be able to in Italy: In the U.S., what’s sold as “parmesan” is rarely the real thing!). It’s possible to find vegan or vegetarian options at normal restaurants, but sometimes, you want some more options. If that’s the case, check out Happy Cow’s list of vegetarian/vegan restaurants in Italy. Meanwhile, being celiac can be one of the tougher restrictions in Italy. Wheat is, after all, in all the main staples of Italian food, from bread to pasta to pizza. So, if you’re celiac, check the Italian Celiac Association’s website. While it’s in Italian, it’s fairly simple to navigate. Click on the category you want on the left (i.e., “Ristoranti/pizzerie/alberghi/hotel”), then scroll down. Put the correct region in on the left and the province, if you know it, on the right. (Rome would be Lazio and RM; Florence, Toscana and FI; Venice, Veneto and VE). Restaurants that come up are those that offer gluten-free options and are familiar with celiac disease. Grilled veggies are usually an antipasto or contorno option — and are always a good call, even if you’re not vegan or vegetarian! For those with restricted diets, the good news is that Italian cities and regions tend to be known for particular dishes. And those dishes appear again and again on local menus. In Rome, for example, you’ll see a lot of amatriciana, cacio e pepe, and carbonara (in fact, it’s hard to find a Roman restaurant that doesn’t offer these three dishes). And, while in other countries, each restaurant would probably make the dish almost completely differently from the next, that’s not so much the trend in Italy, where people like to know exactly what they’re getting when they order a certain dish (and where they want it to taste exactly like Grandma’s!). So familiarize yourself with local specialties you can eat ahead of time. More on some safe bets for different diets at the end of the post. 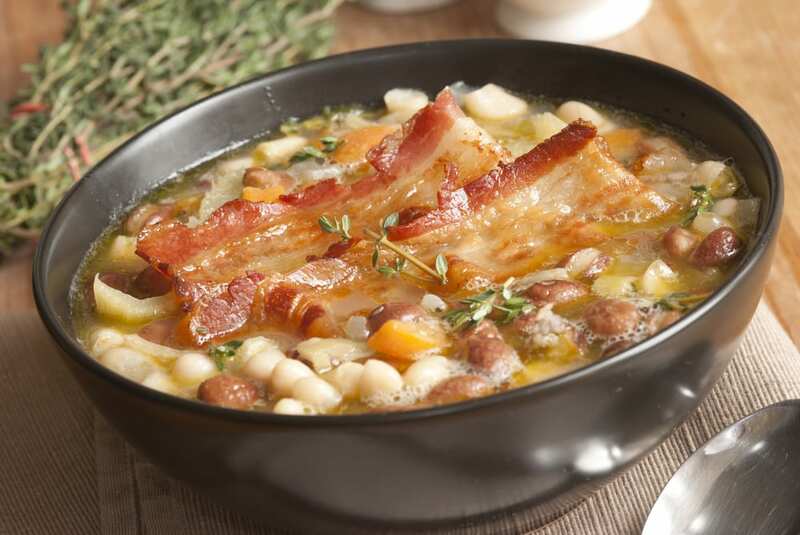 Watch out — meat can hide even in Italy’s soups, like this one, so know how to make sure! Saying you’re a vegan is confusing even in the States, where one self-labeled vegan might eat dairy but not eggs, another nothing that ever touched an animal at all. It’s even more confusing in Italy, where it’s rarer. So go easy on the poor waiter. Be specific. After you’ve picked out a couple of things that might be okay, ask: “È senza glutine?” (Is it gluten-free? ), “È senza carne?” (It’s without meat? ), “È senza formaggio?” (It’s without cheese?) or “È senza noci?” (It’s without nuts?). bruschetta: A traditional antipasto, this is toasted bread rubbed with oil, garlic, and with a variety of toppings to choose from. 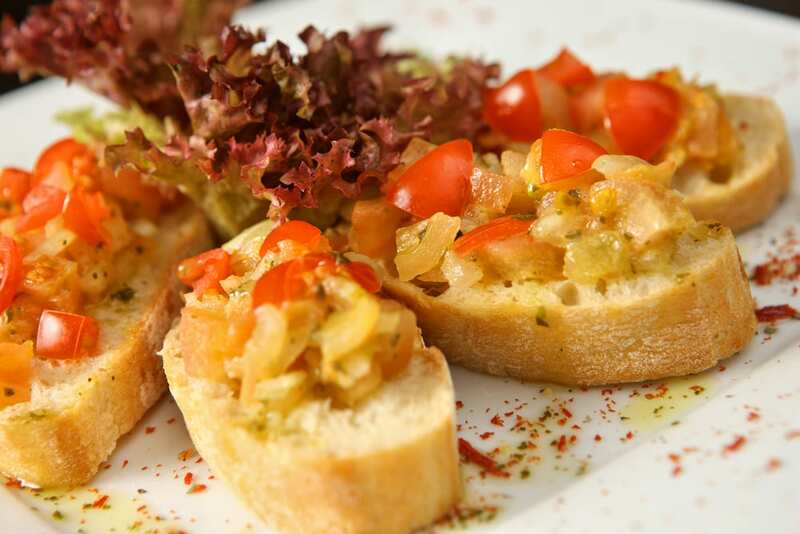 Bruschetta al pomodoro is bruschetta with tomato, and we’ve yet to see it with any meat thrown in! pasta all’arrabbiata: Literally “angry pasta,” this is pasta with a spicy tomato sauce. There shouldn’t be any meat or cheese (generally, if cheese isn’t already tossed with the pasta, as in cacio e pepe, it won’t be sprinkled on after, as we do in Italian-American restaurants in the States). pizza: If you’re vegan or lactose-intolerant, opt for the pizza marinara, which is pizza with tomato sauce (no cheese). If you’re vegetarian, you have lots of options, the most simple of them the classic pizza margherita (tomato sauce and mozzarella). If meat’s not listed as a topping, it won’t be on the pizza. Just make sure you understand what all of the toppings are! Peperoni, by the way, isn’t “pepperoni,” but peppers. grilled vegetables in the contorni section: Contorni means “sides,” and this is usually where you’ll find a plethora of vegetable dishes, from grilled eggplant to roasted potatoes to boiled spinach (depending on the season). polenta: A dish made from boiled cornmeal, polenta is particularly popular in northern Italy. farinata: A kind of “bread” made out of chickpea flour, it’s a particularly popular snack in northern Italy and in Liguria (including the Cinque Terre). 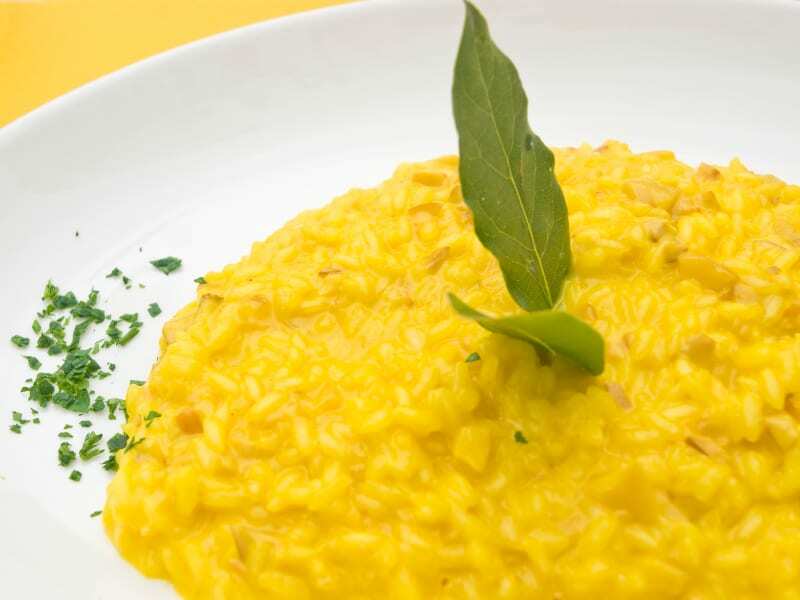 risotto: A rice-based dish that’s especially popular in Milan, Venice, and the north. The broth might have gluten, so ask. gnocchi: How gnocchi is made can vary, so make sure you ask how it’s made. One traditional way to make it is with potato, in which case you’re good to go; sometimes, though, flour is used. Just ask. Have you traveled to Italy on a restricted diet? Do you have any other tips? Please share them in the comments! Thank you for this post. I’m gluten intolerant, but not full blown celiac. One thing that my acupuncturist had mentioned was that many of us gluten intolerant folks don’t do well with American wheat products, but can handle the wheat in Italy because they don’t use Genetically modified wheat. For the severe allergy, I don’t know if I’d risk it, but it’s something to consider for basic gluten-intolerance. I’ve been diagnosed as gluten intolerant for three years. Last month I went to Italy, and sampled some pasta. After no bad reaction, I ate more, as well as bread. I felt fine for three and a half weeks, eating whatever I wanted. I decided perhaps I wasn’t gluten intolerant and tried some pasta once I got back home. That night I had insomnia, itching skin, and gut issues all night, all my old symptoms. I definitely think there’s something to the idea of being intolerant only of genetically modified wheat. Carbonara is made with panna and eggs in italy. Panna is cream. When we say “carbonara” isn’t made with cream, we’re talking about the traditional way to make carbonara. Carbonara comes from Rome, and the Roman recipe doesn’t include any milk or cream at all: It’s just eggs, guanciale, pecorino, and black pepper. (In fact, the only restaurants in Rome that serve a carbonara with cream are very touristy, because they’re serving the dish as they know Americans expect it to be!). Up in Milan and the north, perhaps recipes use cream, as the north uses much more cream than the rest of Italy. 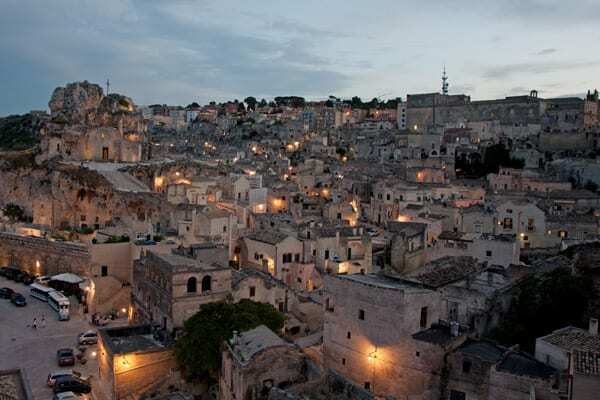 But we wouldn’t recommend that people eat carbonara in northern Italy, anyway: It’s a Roman dish! You can see how to make carbonara here, here and here. A brilliant website that I’m thrilled to have stumbled upon. My boyfriend and I are heading to Italy for 2 weeks and as a Celiac, I have been more than a little nervous about visiting the pizza/pasta mecca. Thanks so much for the frank info, it is most definitely appreciated!! THANK YOU a million times for this site! We are going to Italy this summer and I’m dairy intolerant, so I was very worried about what I can eat. This alleviates many of my worries. Thank you for extremely helpful information! I’m a vegan and my husband is vegetarian. I’m going to book a tour with your company! hello All!!! Farinata is sooooooooo good! You can also order a Marinara pizza. Tomato sauce, garlic and oregano. Be sure the crust doesnt have pork fat in it. If you need any tips, just ask!!!!!!!!! Ciao!!!!!!!!!! Great article and comments! I wanted to add that I lived in the UK for several years and found my “gluten allergy” was ALL about the preservatives and CRAP used in the wheat in the USA. 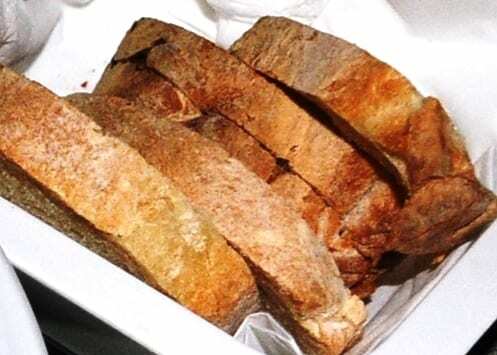 So, if you do not have diagnosed celiac disease but are gluten intolerant, you may find European bread, especially from small local bakeries perfectly fine to eat. I found this particularly true in Italy and France where their bread making skills are a world away from the garbage for sale on USA grocery store shelves. Stay small – small source (eatery or bakery), small portion, small town and I think many will be pleasantly surprised! Can anyone help us out with how to say “I can’t eat any dairy products? ” in Italian. Thank you. Hi Judy, you can say “Non mangio latticini” or, if you’re allergic, “Ho un’allergia ai latticini”. Let us know if you have any questions! Hi Not sure if you can help, we are Muslims wanting to travel to Sicily – Pelmero. I was wondering how easy would it be to find either halal butchers (as we may go self-catering) or halal restaurants? Hello! Though there aren’t hundreds of options, we found a partial halal menu at Ali Baba restaurant in Catania and a full halal menu at Allah Rakha in Palermo. In larger cities such as Palermo, you should be able to find halal butchers as well as supermarkets that contain halal salami, among other things. We hope this helps and that you have a great trip! 1.Buy Doge’s palace tickets on line or on spot. 2.Will take Vaporreti 12/24 hrs. tickets -buy it online or on spot. 3.Suggestion on places to find vegetarian food -in Venice island and in Mester -we are staying at Mestre. You can easily buy tickets for both the Doge’s palace and the Vaporetti once in Venice, though there is the option of a Venice card to get some discounts that might apply to you (read here). For a truly unique experience, however, we highly recommend our VIP Doge’s Palace Secret Tunnels tour where you’ll visit the Palace’s hidden labyrinth of secret meeting halls, offices, torture chambers and Casanova’s prison cell. As for vegetarian food in Venice, it’s possible to find vegan or vegetarian options at normal restaurants, but you can also check out Happy Cow’s list of vegetarian/vegan restaurants in Italy as found in the article. Have a great trip! Could you give me some idea about the rennet used in Italian cheeses? Is it possible to find vegetarian cheese (no animal rennet) or should I just avoid cheese altogether? To be honest, this is a bit out of our area of expertise, but some research shows us that most cheese in Italy is made with rennet. For example, the famous Parmigiano-reggiano in European law has a protected designation of origin, meaning that only this type of cheese produced in specific areas of Italy is permitted to use this name and that it must follow a specific recipe, part of which includes calf rennet from dairy cows in this region. We hope this helps! We’ve found that Italians are very aware of celiac’s disease and other wheat and seed-based allergies. Unfortunately a large part of Italian cuisine is dairy-based, so you’ll have to be careful in choosing your dish. That said, we’re sure you’ll be able to find plenty of options without dairy or cream! Also, supermarkets and even ice cream parlors almost always have dairy-free options. Hope this helps! 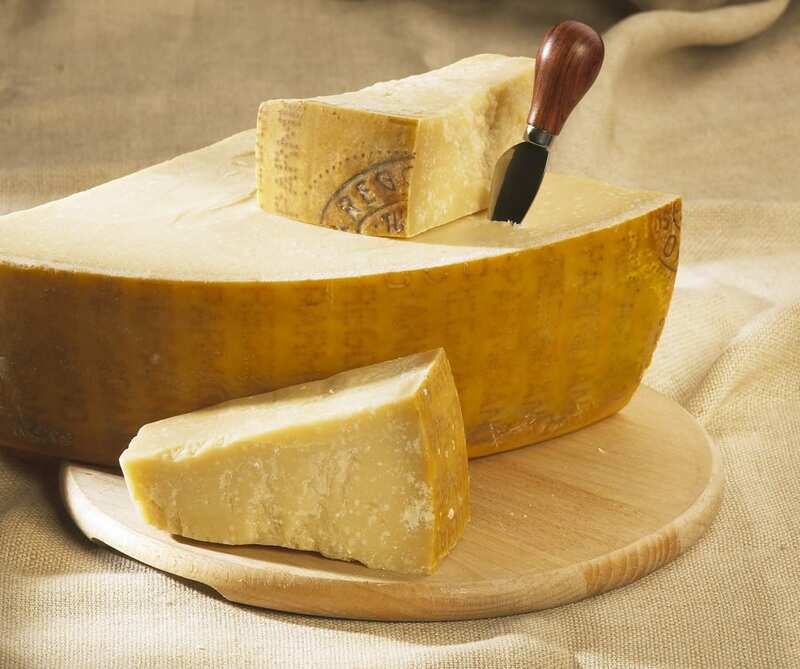 Almost all cheese in Italy is still made with animal rennet (caglio). Obviously, imported “branded” cheeses can be vegetarian as they are in their home country. That said, you can find the very occasional pecorino (usually from Sardinia, sometimes from Volterra) made with a thistle rennet. This will be listed in the ingredients. It might still say caglio but will be followed by the actual type. You will find microbial rennet in a few supermarket cheeses – i found a veggie mozzarella today – but I don’t think you’ll find it in restaurants unless they are specifically vegetarian/vegan. We have been visiting Italy for 10 years now (always South of Florence) and have seen little change. In the south you do find more beans such as fava – as it’s always been a poorer area and the diet still reflects this. Come to Puglia! I know you will find delicious things to eat and won’t be disappointed! Hi we a couple are visiting Italy in November – Venice , Rome , Florence – being vegetarians- could you please pass on some quick tips for us , or any other relevant information which we should be aware of ? 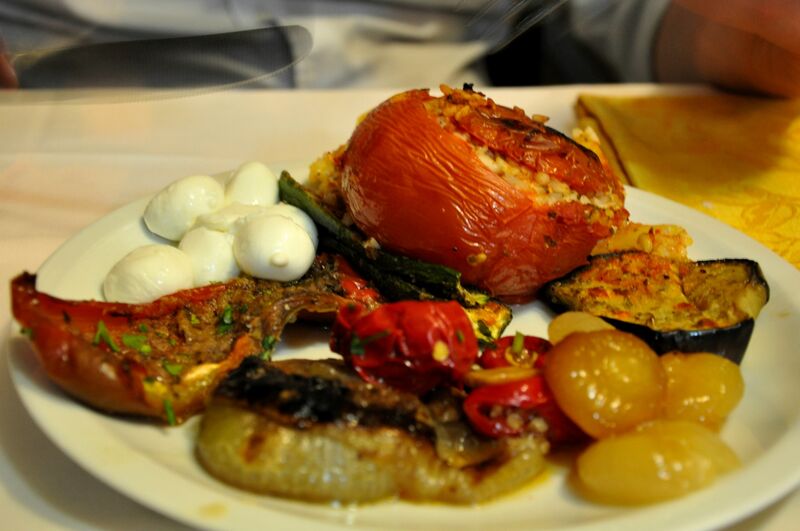 Though not a predominately vegetarian country, Italy still has plenty of meat-free options! Modern, popular restaurants might specify which dishes are vegetarian, but otherwise your best bet is to read the English menu or learn the basics of Italian food vocabulary. Words like prosciutto, bistecca, salumi are all regarding meat and explaining you’re a “vegetariano” will help!